Naomi And she's kinda "in" love with him. Ely But he prefers to be "in" love with boys. Naomi and Ely are best friends. Inseparable since childhood. Practically soul mates. But just to be safe, they've created a No Kiss List--a list of people neither of them is allowed to kiss under any circumstance. And this works fine--until Bruce. Bruce is Naomi's boyfriend, so there's no reason to put him on the List. But then Ely kisses Bruce. The result? A rift of universal proportions. Can these best friends come together again, or will this be the end of Naomi and Ely: the institution? 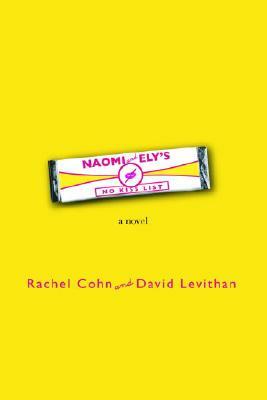 Rachel Cohn's novels include "Gingerbread, Shrimp, Cupcake, "and "Pop Princess. "She lives and writes wherever she can find an outlet for her laptop. David Leviathan's novels include "Boy Meets Boy, The Realm of Possibility, Are We There Yet?, "and "Wide Awake. "He lives in New Jersey.